Before the excitement of Product Design of the Year award took over our lives, it was lovely to play host to two amazing people – Ali and Lizzie – as they cycled through Zambia on their way from Cairo to Cape Town. Their target is to raise £10,000 for three charities which mean a lot to them, and ColaLife is one >> more. They started pedalling on 4 January 2013 and they are still pedalling. They are in Nambia as I type this. You can follow their progress on their blog: Blazing Saddles 2013. It’s a very happy coincidence that their route through Zambia took them through both of our trial districts and also through Lusaka where Jane and I live. So we had 3 parties to arrange! The first one in Katete – designed to be ‘The Mother Of All Coke Stops’ – was scuppered when, rather uncharacteristically, a riot kicked off. I blogged about that here. The second was a sedate affair in our little house. The afternoon was spent around the communal pool, and hooked into the WiFi, followed by dinner with the Deputy High Commissioner and our great friend and ColaLife supporter William Hoyle who happened to be travelling through Lusaka at the time. 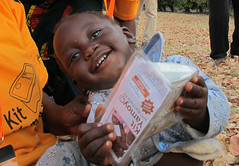 Among other things, William helped support our participation in the making of The Cola Road, the ColaLife documentary. Speaking with the women who had travelled to the store to meet with us and tell us their stories was one of the most powerful experiences which we have had on this trip. It was wonderful to observe the dynamic in the group as the women giggled and teased one another, at times humming their response to a question in unison with a communal ‘uh huh’ as they hitched their children up on their waists and wiped their faces. 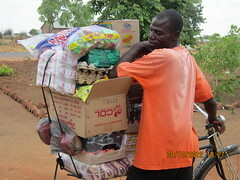 Their reports on the impact of Kit Yamoyo being available to them through the local retailers was nothing but positive. Ali and Lizzie, thanks for choosing to support ColaLife.